Most people perceive Japan as being at the cutting edge of technology. It comes as a surprise then to many visitors that the WiFi coverage is patchy and getting a full prepaid mobile service is nigh on impossible. Even just sorting out mobile data packages can be remarkably complicated. In most countries you can simply grab a prepaid SIM and you’re pretty much set, besides fiddling with a few APN settings. Not so in Japan. Governmental restrictions for non-residency card holders mean that getting a full service including voice, messaging and data is both expensive and subject to strict time limitations. On top of this, not all handsets will work in Japan and of those that do, not all will work with all carriers. A government survey in late 2015 found that 28.6 per cent of visitors to Japan had intended to buy SIMs but only 13.2% did. While over 50% of those people found the issues insurmountable, with a bit of forward planning and the following information you should be able to stay connected. Check up on a couple of hardware factors. Firstly is your phone unlocked (meaning it can operate outside of your own network carrier)? If so, is your particular model compatible with the frequencies used in Japan? A straightforward way to check the second one is to go into your phone’s settings menu. Click on ‘About phone’ and skim down until you see the listing for model number. Then head on over to www.willmyphonework.net. The site is straightforward. Enter the brand and find your handset; if it asks for a Sub Model enter in the model number you retrieved earlier. Next choose ‘Japan’. Then in the carriers menu select, “All.” You’ll get a handy list which tells you which of the carriers should work for your phone. It will also show if you’ll be able to get 3G or 4G service (Japanese networks no longer support 2G). It might be wise to take a screenshot of the results for ease of reference if you’re running the search off your mobile. Also make sure that you know if your handset takes a micro, or nanoSIM card. Once you buy a pay-as-you go SIM and open the packet it’s not exchangeable. 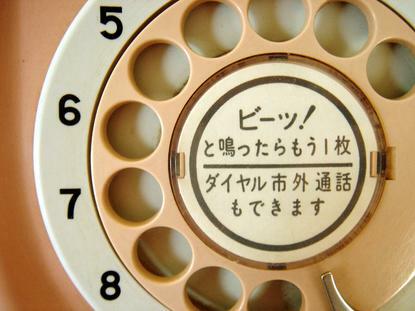 Do you need voice and SMS in Japan? Yes! Most people going on a visit should find that data alone, combined with a service like Line, What’s App or Skype should be enough to stay reasonably contactable and find their way around. However one big advantage of having voice is that you can take advantage of the tourist translation line. They offer live translation from English, Chinese, Thai and Korean into Japanese. This kind of service can be a lifesaver if you’re travelling to more remote spots. (Number: 0952 201601). Most Japanese Telcos offer packages with 1GB, 3GB or 5GB. Check your data usage in your phone settings to see how much data you usually use over a given month. This should help you choose how much data you will need. Remember that in many hotels and hostels you can get free WiFi access which can help reduce your data usage if you use VoIP services regularly. There are a couple of other things to watch out for, depending on your intended use. For example perhaps you like to hotspot or tether your phone, for banking online on a secure connection or perhaps for work. Some phone models won’t support this on certain carriers: including many Samsung models on the Japan Travel SIM. Most of the phone company websites offer a list of phones which have been tested using their service for reference. Also some companies throttle data after a certain amount of usage - although they are upfront about this. If you’re only in the country for up to a month then you may find it best to go with one of the straightforward tourist packs. All of these piggyback off the main carriers. Of these, NTT Docomo, has the best network coverage. These are available at the airports or in electronic or phone stores. Note that identical SIMs cost more at the airport than in town. JP-mobile offers a standard voice-SMS-data package and is valid for 15 days only. You can buy it at the airports. It is markedly more expensive than data-only options. The Japan Travel SIM comes with a Bratsel VOIP card, which permits international calls and also gives you a local phone number for receiving calls. It’s only valid for up to one month and is non-extendable. It can be purchased at airports or in electronics shops. If you’re in Japan for a longer period some of the companies offer extendable SIMs (data only). We’ve tried COMST and So-Net. Both run off NTT Docomo and have excellent coverage. Neither throttles their data. For So-Net you need a credit card to top-up online within 14 days of your SIM expiring. With COMST no credit card is necessary; you top-up online within one month of your card expiring and pay at a convenience store. So-Net is easy to get hold of being widely sold at the airports and electronics stores and even in-flight (prices for the same card vary wildly though). COMST may be a little trickier but electronics stores and some phone shops may have them. If you’re a heavy data user COMST is the one to go for as you can get deals on 1GB/3GB/10GB top ups. So-Net only allows for a pricey 1GB at a time top-up. If you’re travelling in a group you might find it most cost effective to rent a portable WiFi hotspot. This is also an option for handsets that won’t play well in Japan. It’s charged by the day (usually somewhere around the 1,300 Yen mark). However the data is unlimited so the cost effectiveness depends on the size of your group. We talked to a group of 8 who had found the experience to be smooth. It is possible to rent a phone and SIM card bundle at the airport. This is probably the most expensive option and must usually be reserved in advance.